Book an Engagement Session Today! "Be silly and laugh every day, be thoughtful and generous, kiss each other good night, learn from each other, fall in love and grow old together." 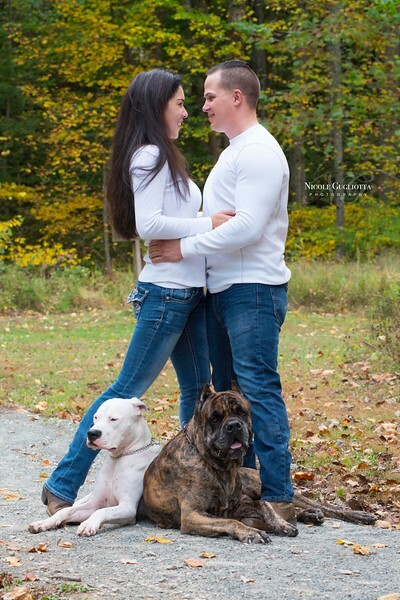 An engaged couple and their dogs are happy right where they are during an engagement photo session in Woodbridge, Virginia.